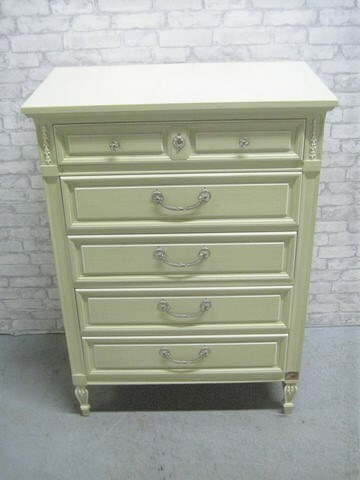 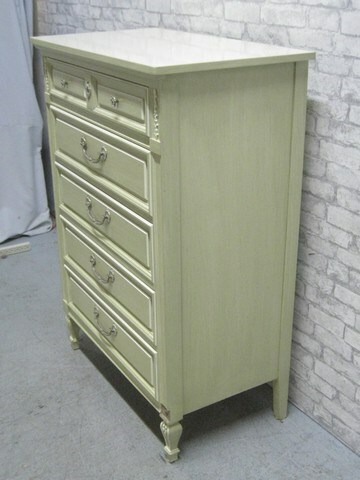 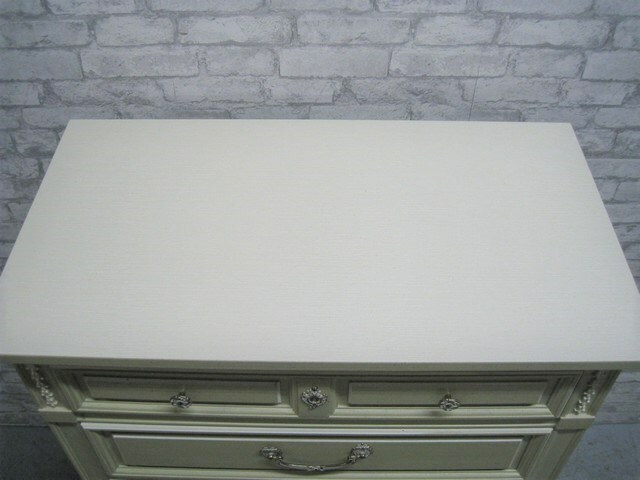 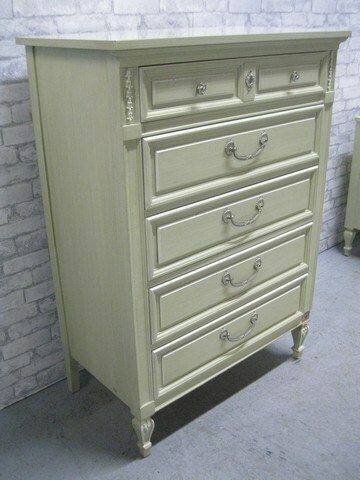 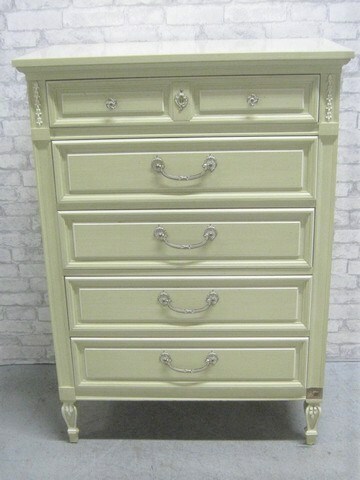 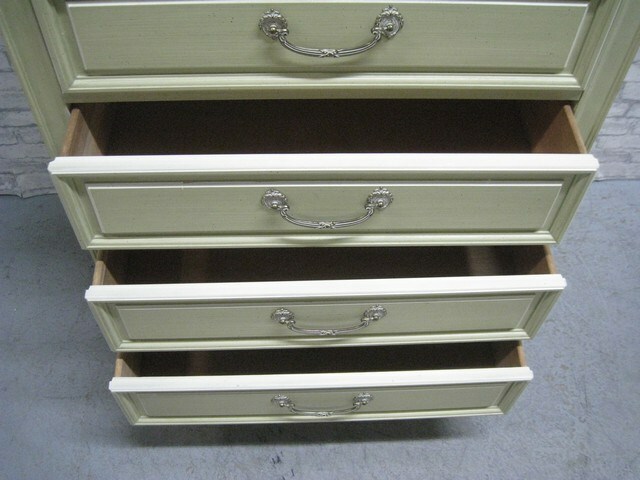 Dixie 5 Drawer Chest with Dovetail Drawers. 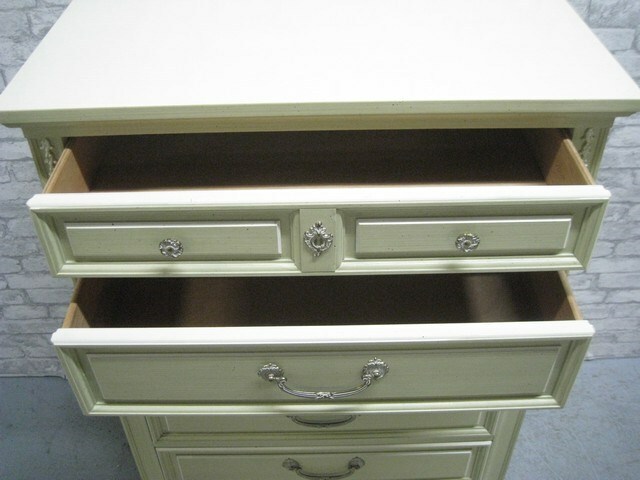 It has a laminate top. 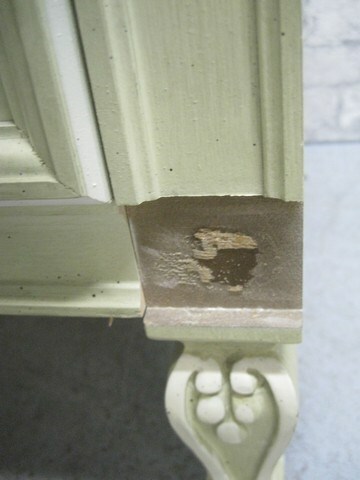 There is a small 2" square painted piece of wood missing above the right front leg. 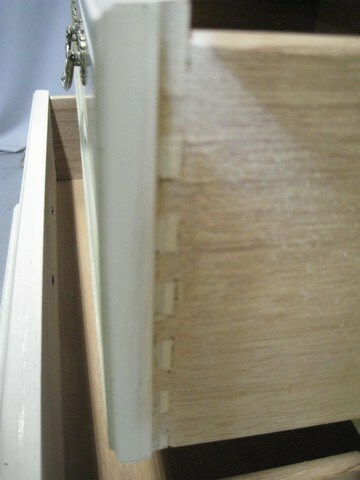 Lots 2, 3, 4, 6 and 42 are companion lots.